Day of the Dead (Dia de Muertos) is a time when people remember and honor their deceased loved ones, with the idea that the spirits return on this one day of the year to be together with their families. 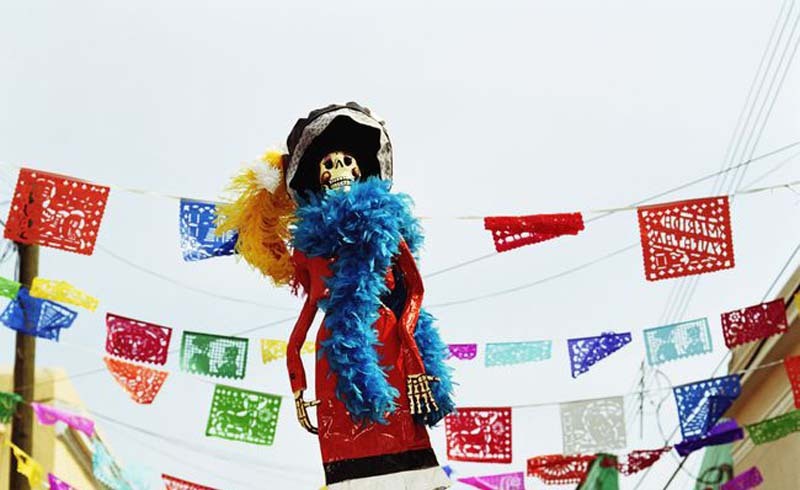 Festivities take place in cities and villages throughout Mexico, though each location may have different customs and ways of honoring their dead. You can witness Day of the Dead celebrations anywhere in Mexico, but here are a few of the places where festivities are particularly colorful. 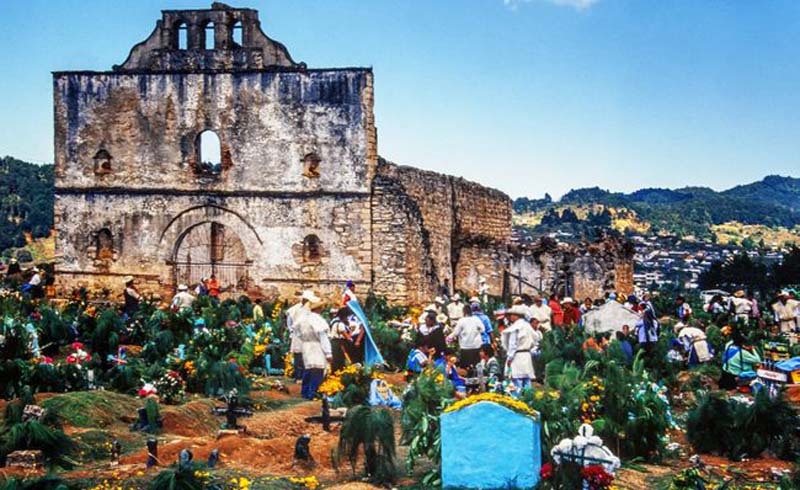 Visitors to Oaxaca during Day of the Dead can visit colorful marketplaces in nearby villages (the Friday market in Ocotlan is outstanding), witness vigils in a variety of cemeteries and take part in night-time carnival-like processions called comparsas. There are also sand tapestry competitions and Day of the Dead altars set up throughout town. Janitzio is a small island in Patzcuaro Lake and is easily reached by boat from Patzcuaro. 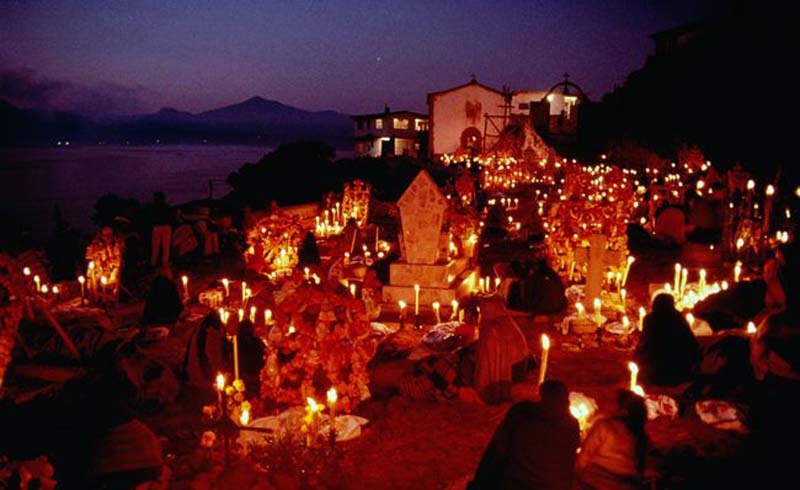 The island is home to the Purepecha indigenous group (sometimes called Tarascans) who have elaborate Day of the Dead rituals. There are processions and music, folk dances are performed and families gather in the cemetery to spend the night chanting and singing. Perhaps the most impressive sight is the fishermen in their rowboats with torches lighting up the lake. 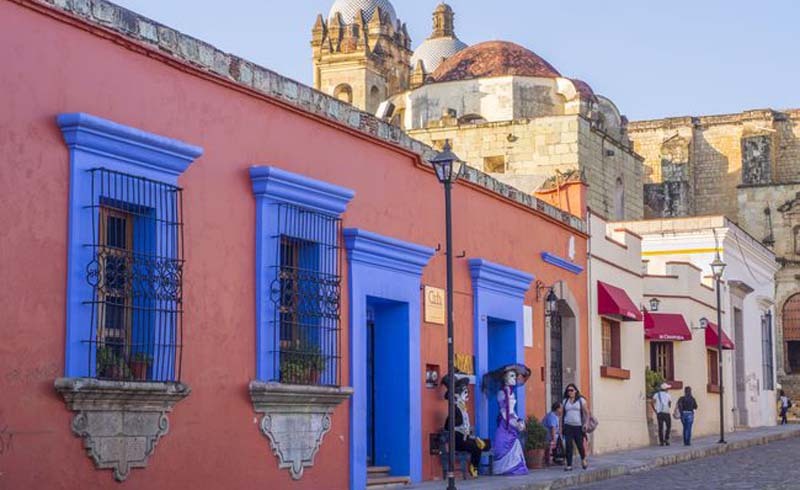 Mixquic, located in the Tlahuac Delegation of Mexico City (southwest of the Mexico City center) has been swallowed up by the megalopolis's urban sprawl, but retains the ambiance of a rural village with strong indigenous roots. Street stalls are set up in the days before the celebrations. A procession through town with a cardboard coffin leads the way to the cemetery where a candle-light vigil will take place. In the Maya language, Day of the Dead celebrations are referred to as Hanal Pixan, which means "feast for the souls." 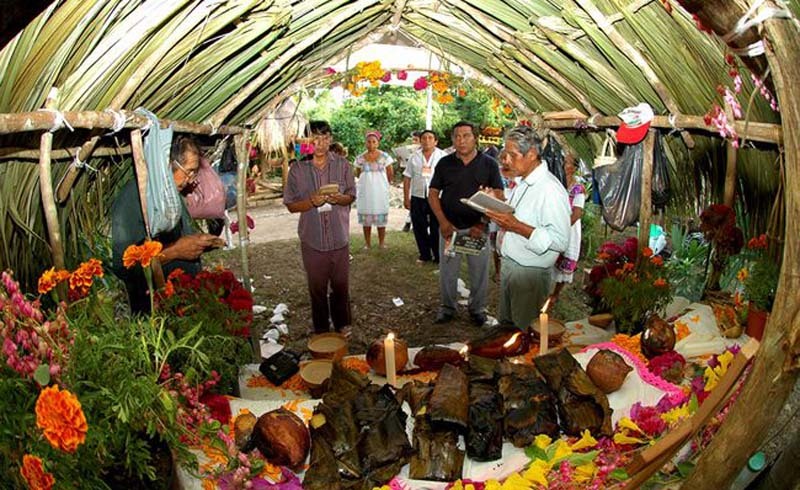 Families gather to prepare a special seasoned chicken tamale wrapped in banana leaves (called pibipollo), which is cooked underground in a pit. The dish is enjoyed by both the spirits, who are believed to consume its essence, and the living, who enjoy the real thing! There are also festivities in the streets and cemeteries. 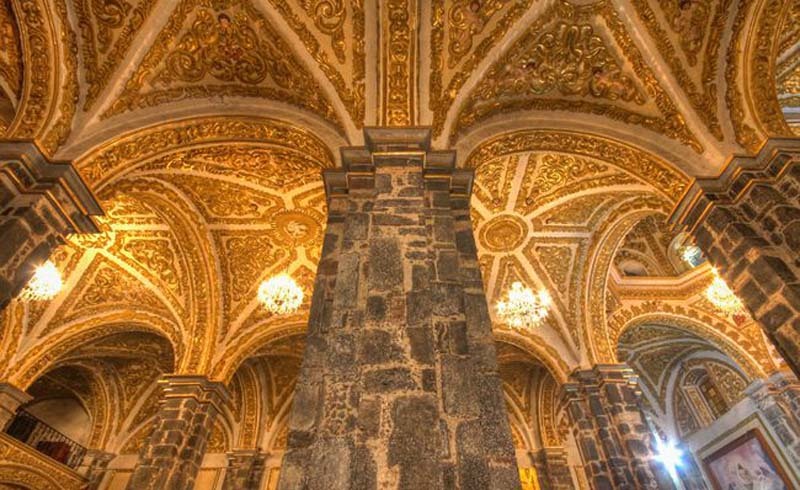 See our Mérida City Guide. The birthplace of engraver Jose Guadalupe Posada celebrates Day of the Dead every year with the Festival de las Calaveras (Festival of Skulls) from October 28 to November 2. The festival takes place on the city fairgrounds with exhibitions of handicrafts, stands with traditional food and seasonal fruit, and varied theater productions, and concerts. The grand parade of calaveras along Aguascalientes' Avenida Madero is a highlight of the festival. 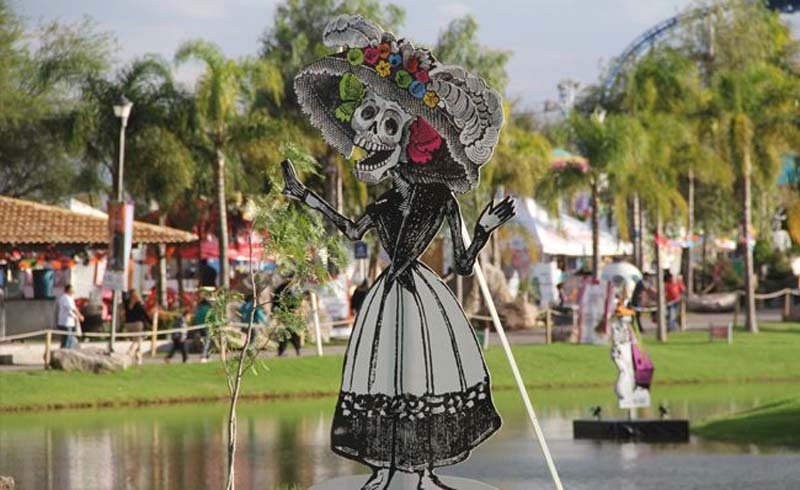 Xcaret theme park in the Riviera Maya hosts an annual Festival de la Vida y la Muerte, "Festival of Life and Death," in honor of the Day of the Dead. 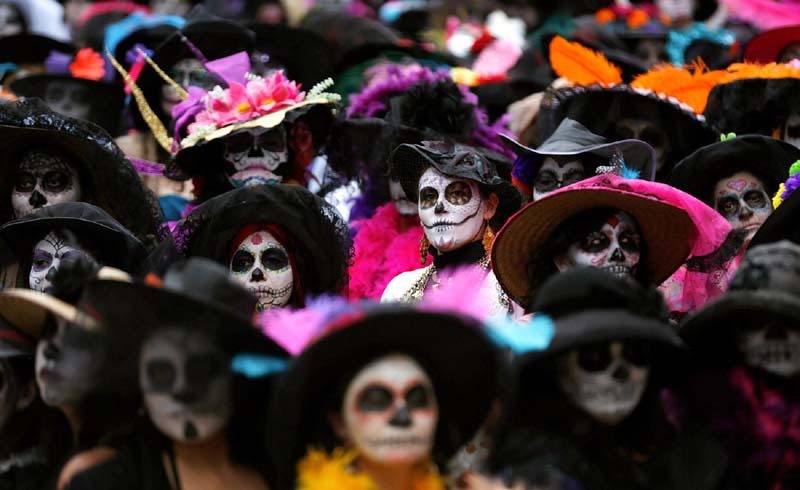 The festival runs from October 30th to November 2nd, and includes theater and dance performances, concerts, conferences, parades and special tours, as well as special Day of the Dead rituals. This pleasant colonial town on the Río Grijalva is 7 miles (12 km) from Tuxtla de Gutierrez, capital of the Mexican state of Chiapas. For Day of the Dead the cemetery is decorated in a lively manner with colorful ribbons, flowers and candles. There is live music in the cemetery as families serenade the deceased on their short-lived return. 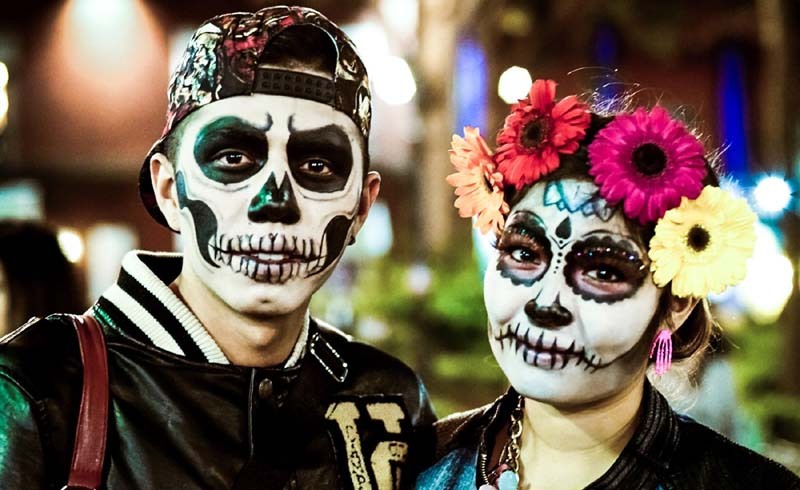 Mexico City's hottest Dia de Muertos celebration is not only inspired by tradition — it's also inspired by 007: Spectre, the 2015 "James Bond" film that opens with a crowded, skull-laden procession through the city's streets. 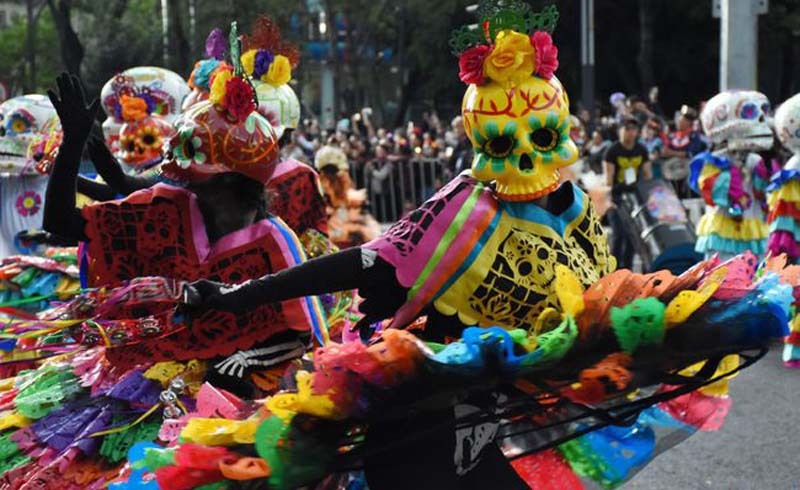 The parade came to life in 2016 for the first time and has grown each year since, with millions attending as elegant Catrinas and colorful alebrijes (mythical creatures) march nearly three miles down the grand Paseo de la Reforma.